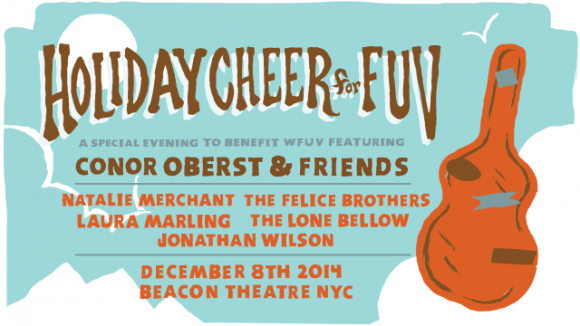 On December 8, Conor Oberst and a number of other artists will play the WFUV Holiday Cheer Benefit at the Beacon Theater in New York. According to Brooklyn Vegan, the lineup will include Natalie Merchant of 10,000 Maniacs, Laura Marling, The Lone Bellow, The Felice Brothers and Jonathan Wilson. Based on those artists, along with Conor Oberst of Bright Eyes, it seems the night will be full of acoustic and folk music. The event will benefit the public radio station, which is based at Fordham University in the Bronx. The 2013 holiday show sold out the Beacon Theater, so those who want tickets should act fast.